Same deal as before, all swatches knit with Knit Picks Memories (discontinued) on Size 2 needles. They’re 20 sts wide and 11 rows tall, cast on using the long tail method. I pinned the swatches down unstretched and measured the width. Then I stretched the swatches as far as they’d go, pinned them down again, and remeasured. This article in Knitty has detailed tutorials for two of these cast offs; I might make a tutorial for the third. This is one of the cast offs from Knitty. I really liked knitting this one- it has a nice rhythm to it. It’s done by knitting 2 stitches, passing the first over the second, but don’t drop it off the left needle. 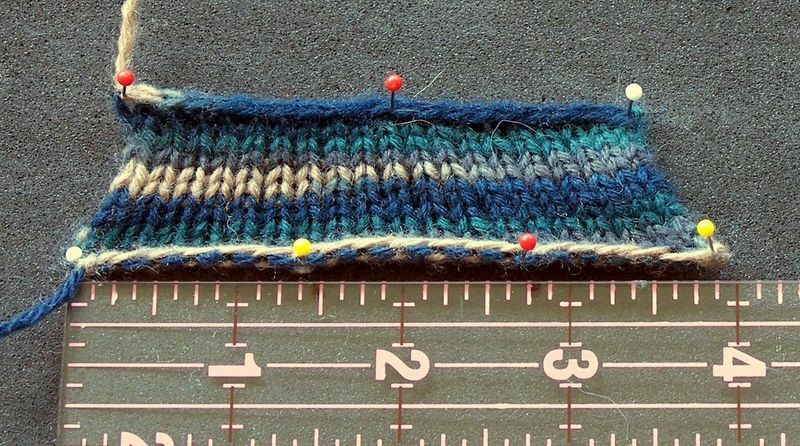 Then knit the next stitch, going around the slipped stitch. Drop both stitches off the needle and repeat. It looks really pretty, just like a regular cast off. And it’s fairly stretchy. I think this one has potential as a sock cast off, especially if done in with the next size up needle. Further research will be required on this specimen. As you can see, this yields a cast off edge identical to the suspended cast off. (So identical, in fact, that I almost mixed them up… multiple times.) This one requires a crochet hook in a similar size to your knitting needles. Which can be a problem if you either don’t have a lot of crochet hooks or if you can’t ever find them. The crochet cast off is essentially the same as a normal cast off, but using the crochet hook instead of the right needle and drawing the new stitch through the old one instead of passing it over. Good, but not great. A little stretchier than a regular cast off, but not as stretchy as the suspended or sewn. I think the annoyance of having to find a hook in the right size puts this cast off far down on my list. This is a very intriguing cast off. I read about it on Weebleknits and it originally came from Ask Athena from Knitter’s, I think. That site has a lot of cast offs that will need to be tried… someday, lol. 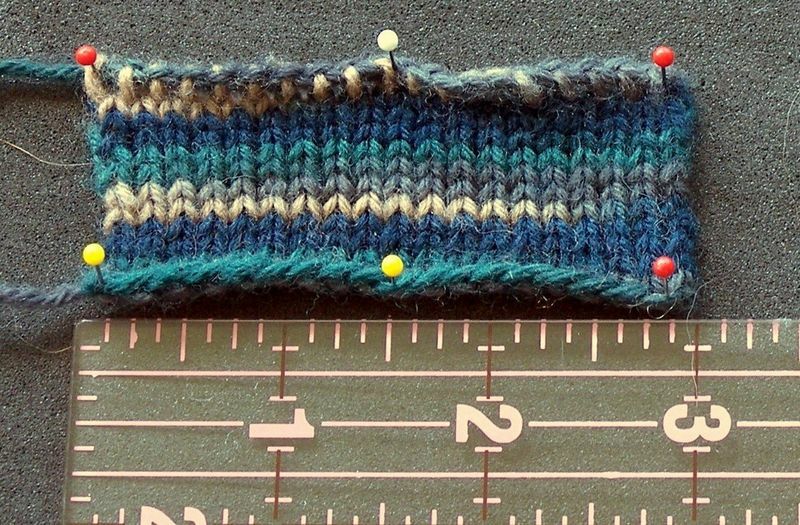 This is worked with a combo of slipping stitches, k2togs, p2togs, and passing the slipped stitches over. This creates an interesting zig-zag look to the cast off edge which I think will look better on some 2×2 ribbing instead of stockinette. Oh boy, does that stretch! Not as much as EZ’s Sewn Cast Off, but really, that’s like comparing any other swimmer to Michael Phelps. EZ and Phelps are just in a different league. 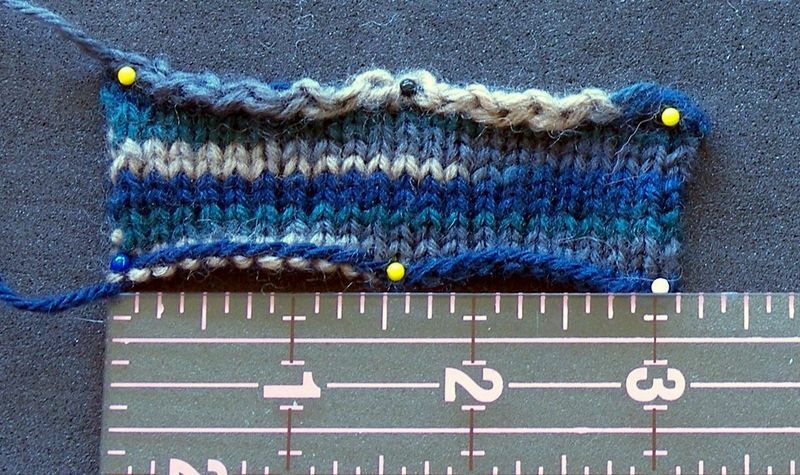 This cast off has the clear advantage of being worked right on the needles, no sewing required. I think this could work out really well for socks or mittens, especially if you want a unique edge. I’ll be making a tutorial soon, because this one might be hard to understand from the written descriptions. 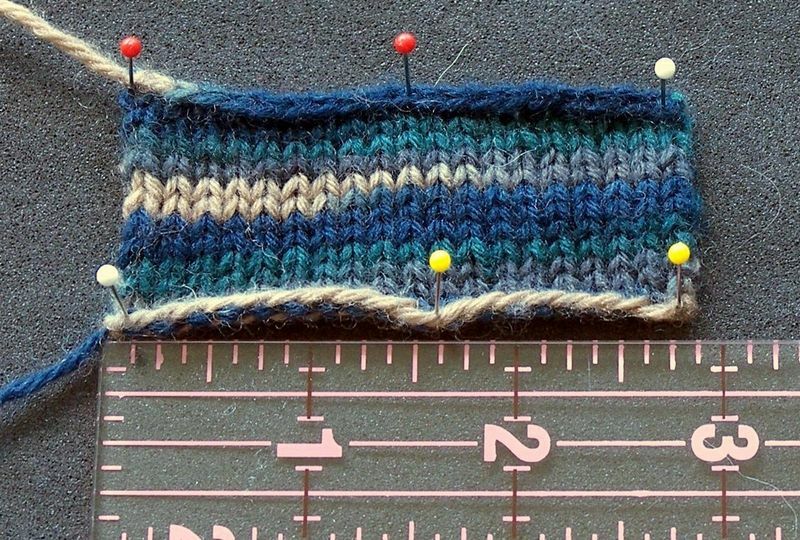 There are so many more cast offs to try… tubular, double knitting, increasing stitches… I can only do a few at a time before I start to hate making those swatches, so this might have to be a recurring topic to cover more of them. We’ll call it… Casting Off with Cailyn or Bind Off to Success! or The Evening Stretchfest. Something like that. Apparently the Knitting Gods heard my foolish statement last week, declaring that I find color work relaxing and fun. They were very, very tricky. They waited, silently lurking, until I was done with the increases. Then the heel was completed… Cautiously, I tried them on, knowing that this was a tricky part. They fit! Amazing. It was clear sailing from there on, right? Just some color work on the cuff and then the bind off. WHAM! The Knitting Gods looked down upon my confidence and it did not please them. The cuff wouldn’t go over my foot. Rip back, try again with bigger needles. Mess up the color work pattern. Rip back, try again. Now too loose around ankle. Rip back, work some 1×1 ribbing, work cuff. 1×1 ribbing totally useless, looks ugly. Oh well, I can ignore that. *Mess up color work again, rip back again. * Repeat from * to * for half a day. Finish cuff. Cast off, very loosely with bigger needles, using a regular cast off for a clean look. Haha, what was I thinking? Rip cast off out and replace with Elizabeth Zimmerman’s Sewn Cast Off. Now start all over again for second sock, being very careful not to anger knitting gods. Maybe they would like a sacrifice of some purple cashmere…. When I first learned to knit, I loved it. But then I quit and didn’t pick it up again for 10 years, proclaiming to the world that knitting was no fun. One of the reasons I quit was because no one taught me how to cast off. Or at least, I didn’t remember how if they had showed me. I tried a number of things, but finally settled on just cutting the working yarn, running it through the live stitches and tying it off. Not very pretty, but all I was making was garter stitch blankets for my dolls, so it worked. Nowadays, I’m an intensely curious person. I collect knitting (and other crafting) techniques like other people collect stamps or DVDs. I bought Folk Socks, not because of the patterns, but for the great collection of heels and toes in the beginning. 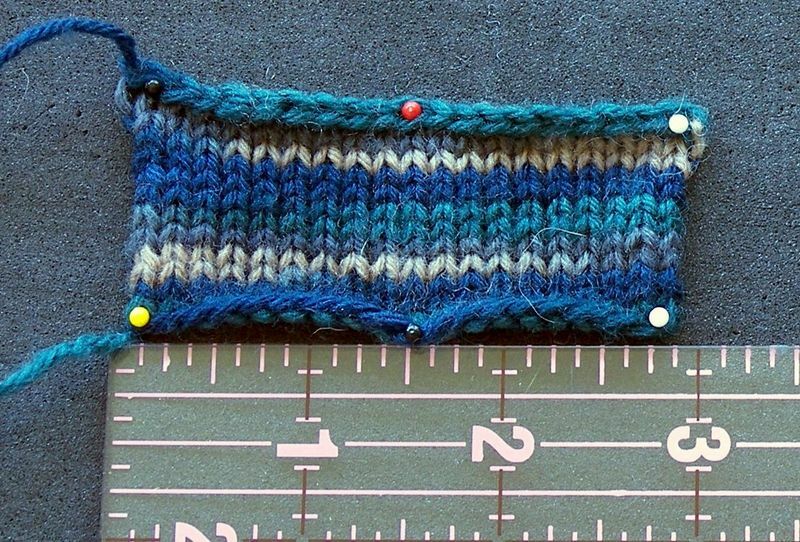 I love learning new cast ons, new ways to purl, new ways to wrap short rows… And, obviously, new ways to cast off. These swatches are all made with Knit Picks Memories (discontinued) on Size 2 needles. 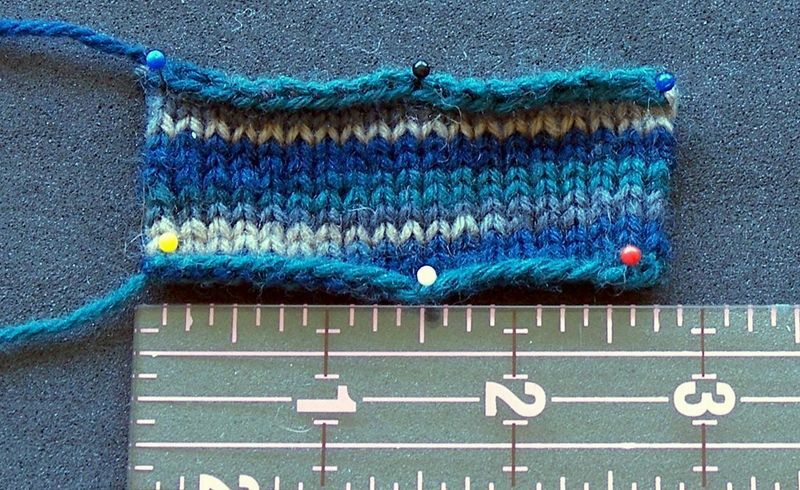 They’re 20 sts wide and 11 rows long, cast on using the long tail method. I pinned the swatches down unstretched and measured the width. Then I stretched the swatches as far as they’d go, pinned them down again, and remeasured. 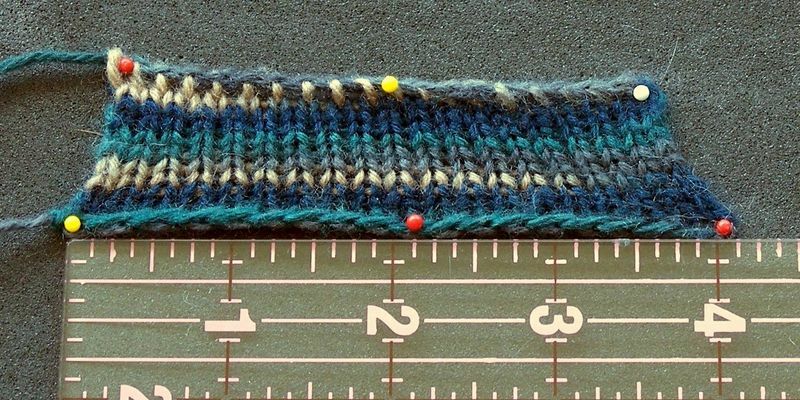 This article in Knitty has detailed tutorials for all three of these cast offs. The cast on edge stretched a whole inch, but as you can see by the trapezoid shape, the cast off edge hardly stretched at all. The standard cast off gives a pretty, firm edge, but isn’t great for anything that needs to stretch (i.e, a sock or mitten cuff). This one is one that I hadn’t tried before this experiment. It’s supposed to be more “flexible” than the standard method. It’s called a decrease cast off, and is done by k2tog, slipping the stitch back to the left needle, and then k2tog again, to the end. There are many ways to do this one, including k2tog tbl and p2tog and a combo approach. I used the k2tog method, but I think the k2tog tbl is prettier. As you can see, we’ve still got a trapezoid, meaning that the cast off isn’t as stretchy as the cast on. But, the sides don’t lean in at quite the same sharp angle as before. This cast off isn’t really stretchy, but it is a bit looser. Still not great for socks, though. The famous Elizabeth Zimmerman’s equally famous sewn cast off. I stayed away from this one for a while, because you have to cut the yarn before you bind off, thus guaranteeing that you’ll run out of yarn or have yards extra when you’re done. Kind of like the long-tail cast on problem. (I hate wasting yarn like that. I’ve been known to cast on 5 or more times just to get the exact tail-length I want.) Cat Bordhi recommends cutting 10x the length you need, but I’ve found that’s way too much. The Knitty recommendation of 3x works 90% of the time, depending on the whims of the Knitting Gods. 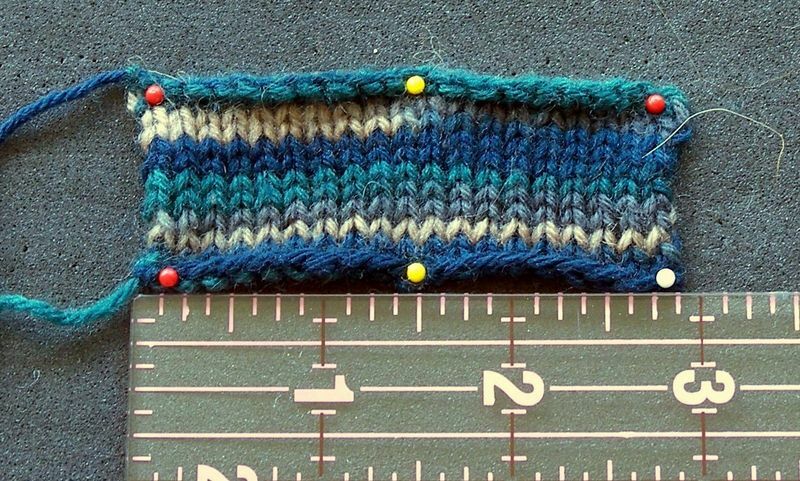 The edge looks kind of like a row of purl bumps. Here’s how to do it in a nutshell: cut the yarn 3x the length needed, thread onto a tapestry needle, slide the tapestry needle through the first two stitches as if to purl, pull the yarn through, then slide the tapestry needle through the first stitch again knitwise, pull yarn through and slip the first stitch off the knitting needle. Repeat around. The cast off edge stretched just as far as the cast on edge. Actually, it stretched a little further. This cast off is so stretchy, it’s unbelievable! I’m really not sure why I don’t use it for all my socks. It’s not quite as convenient as a normal cast off, what with the cutting and sewing, but it’s really worth it. I’m even starting to like the unusual look of the edge. There are many more cast offs out there (I didn’t even cover all the ones in Knitty!) and this was a fun experiment. Maybe there will be more scientific stretching in the future!